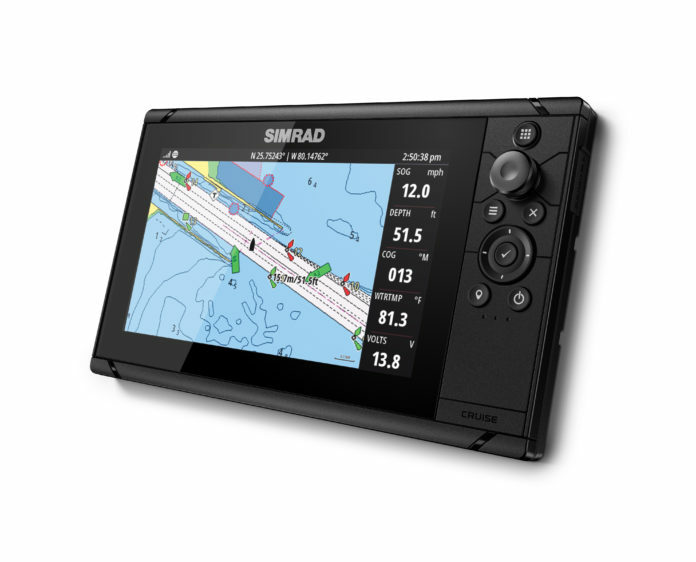 Simrad Yachting – a leader in the design and manufacture of world-class marine navigation, autopilot, radar, communications and fishfinding systems – just announced the launch of Simrad Cruise, one of the most intuitive chartplotter on the market. Designed for straightforward navigation, this chartplotter features a simple and easy-to-use interface, sunlight-viewable display, mounting bracket and sonar transducer. Simrad Cruise combines essential GPS features with basic depth-finding capability to deliver safe and reliable navigation at an affordable price. Free from complicated fishing-specific sonar and networking features, Cruise eliminates the need for boaters to master complex electronics. The user interface is controlled with a rotary dial and keypad, ensuring smooth navigation through menus. It provides the vital information needed for a safe and enjoyable cruise from speed, depth and GPS location to course, battery level and temperature information. Users can also choose from a wide range of mapping options including C-MAP and Navionics, that include advanced features like C-MAP Easy Routing for a true automotive-like navigation experience. The included transducer provides CHIRP sonar with excellent automatic depth tracking for worry-free operation without the need for fine tuning or pre-programming. Installation is easy, requiring only power and sonar cables. “We are dedicated to listening to our customers and giving them exactly what they want out of their marine electronics,” said Leif Ottosson, CEO, Navico Group. “Our product line includes multifunction displays and glass-helm systems designed for some of the most powerful navigation stations in the industry. However, many of our customers want an affordable and easy-to-use chartplotter for simple navigation, that they can just plug in and go cruising. For those boaters, we are pleased to launch Simrad Cruise”. 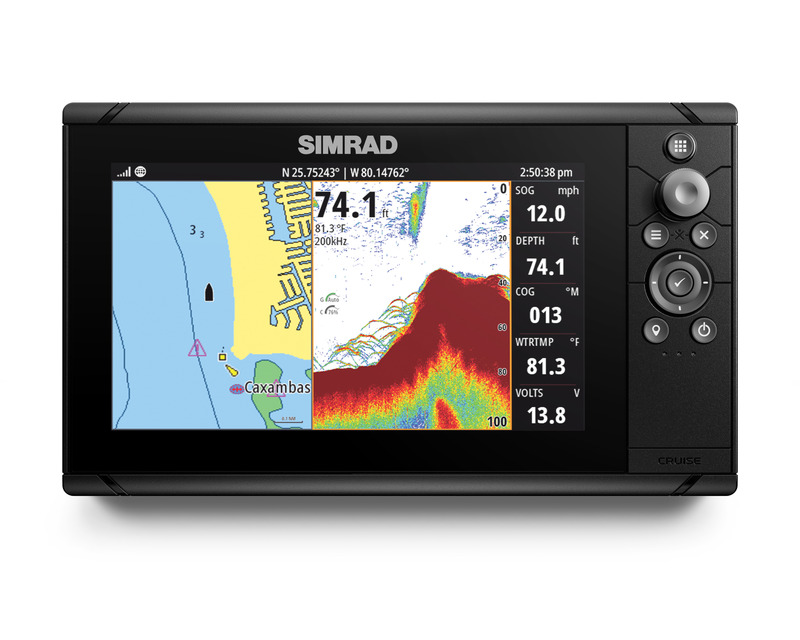 The new Simrad Cruise is available in 5-, 7- and 9-inch display sizes. The unit is IPX7 waterproof rated and ideal for installation in open air vessels such as RIB, deck, ski and wakeboard boats, bow riders and tenders, and can be conveniently flush-mounted or bracket-mounted.